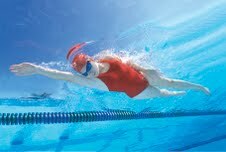 Since 1989, Total Immersion has transformed more adults from strugglers into skilled swimmers than any other program. Thousands have learned from TI coaches in lessons or workshops. Far more have taught themselves with TI self-help tools. Affordability and convenience are the most common reasons for becoming Your Own Best Coach. Growing a ‘better brain’ is a benefit seldom—if ever--considered, but one substantiated by research. Brain researchers have identified an information-processing capacity called 'cognitive reserve' as critical to maintaining a sharp, flexible mind as we age. Cognitive reserve is particularly developed by two activities: (1) learning you tackle on your own that demands intense concentration; and (2) progressing to a more difficult task or skill as soon as you master a simpler one. Improvement-minded swimming demands the most cognitive reserve of any physical skill and TI Self-Coaching tools have been designed expressly to help you develop that capacity, by providing: (1) tested-and-targeted concentration guidelines; and (2) a proven sequence of tasks of increasing complexity. Self-coaching will literally wire your brain to function at a higher level – outside the pool as well as in it. TI Books are best for gaining the knowledge and understanding that allows you to make effective decisions in self-coaching. But to learn the physical skills themselves, visual aids – TI DVDs -- are essential. Few people can gain an accurate sense of the details of a movement, stroke or drill from a description, or even a drawing or photo, in a book. A moving image – particularly when shown from a variety of angles and in slow motion – creates a much stronger ‘mental blueprint’ to guide your practice. 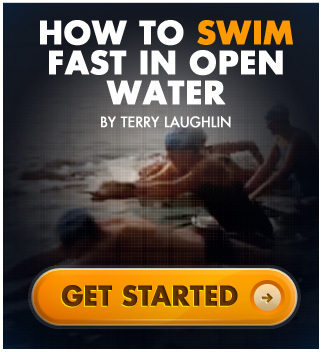 Transform your Swimming into efficient, graceful, fast swimming with the Total Immersion Academy. 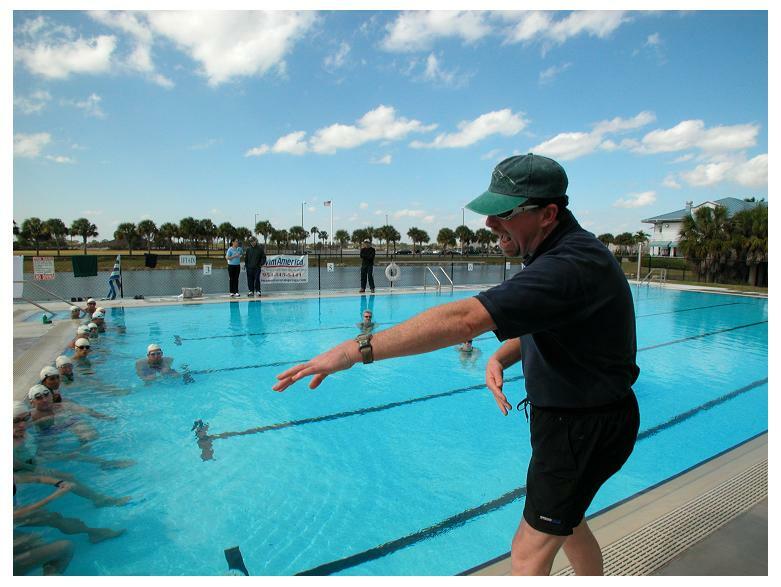 The Total Immersion Weekend Fishlike Freestyle workshops are held in various cities across the country. These two day camps are designed for swimmers who can swim at least fifty meters without stopping and are interested in improving for efficiency or speed. These programs are also the first choice for triathletes and those wishing to "tri" for the first time. 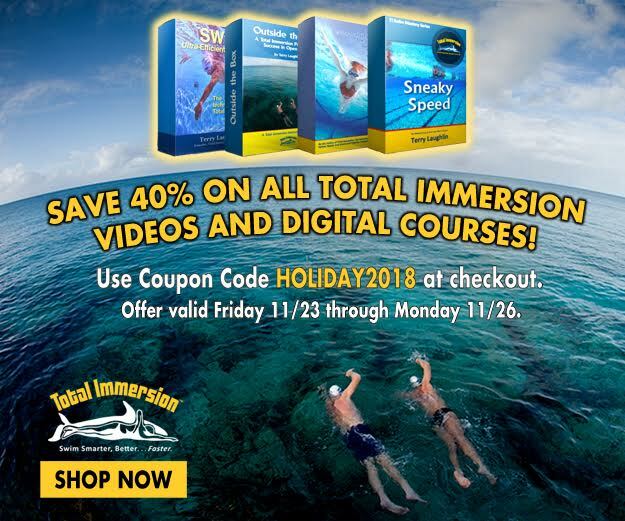 Browse our nationwide listing of Certified Total Immersion Coaches and find an instructor who is located in your area. Coaches are available for private and group instruction. Our Total Immersion Swim Studio is a cutting edge swim education facility. The center offers workshops, swim-vacations, group and private lessons for swimmers of all ages and abilities, including infants and kids.